Saturdays at 8pm through December 20th! Inside Jester's Theater at Sands Regency in downtown Reno. 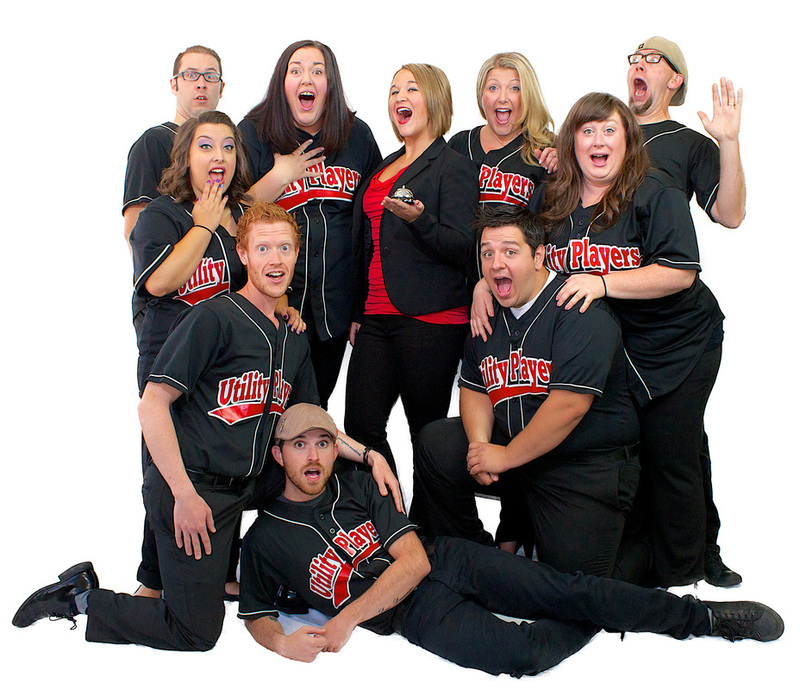 Reno-Tahoe's Best Bet for Improv Comedy! The Utility Players Comedy Show - LIVE & UNSCRIPTED! THE COMEDY IS ALWAYS FRESH & GUARANTEED TO HIT THE SPOT. Every Saturday night at 8pm, a group of talented improvisational comedians, with an undeniable chemistry, come together at the Sands Regency Hotel Casino in downtown Reno to play in front of a live audience. 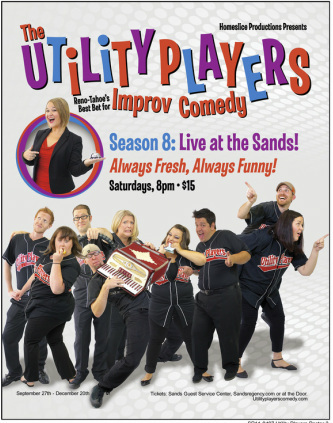 Created and hosted by Jessica The-Jester Levity, The Utility Players have been playing together for over 5 years; every improv show is a unique co-creation between The Utility Players and their crowd (only 125 tickets available each show). Tickets for their regular season shows are available at the Sands Regency Box Office, or online at www.sandsregency.com.